It’s not shocking for a traditional ruler to amass as much wives and if he has just one, questions arise. 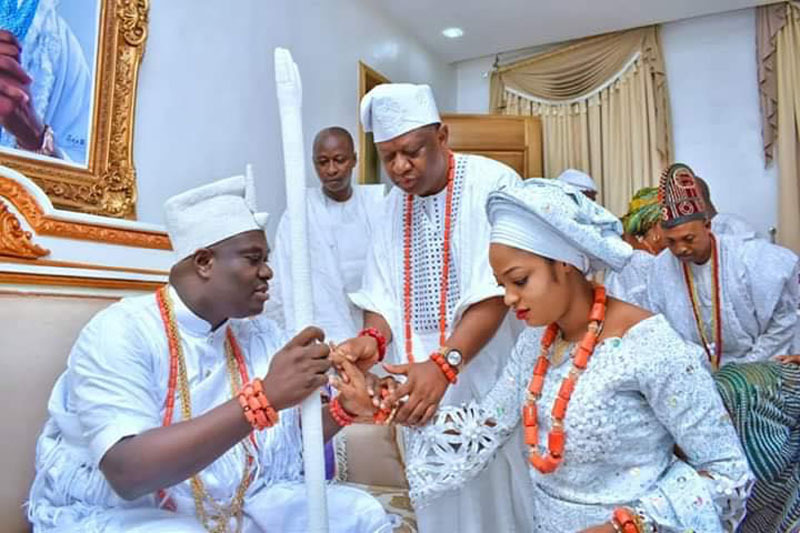 The Ooni of Ife, Oba Adeyeye Enitan Ogunwusi, is not one to lag behind as he has taken for himself a new wife. Mind you, just not any woman, but to a beautiful 25 year old. What’s more? She’s an evangelist and founder of an interdenominational church, EN-HERALDS. Her name, Miss Naomi Oluwaseyi, a prophetess based in Akure. This has raised more eyebrows than his two divorces. Prophetess Naomi performed all the necessary rights and has been presented to her husband as the new Queen. Will she cope? Or would she leave like the other two before her? Only time will tell. Till then, we wish them a blissful marriage.